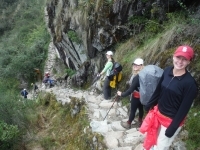 Will you survive the Inca Trail ? 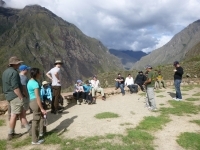 The guides and porters were absolutely fantastic. The only thing that kept it from being a five star review was not their fault at all... it was mine for going during wet season. We had about two of the four days with rain, which can make things not as fun. We had a great trip despite the weather and unexpected difficulty. 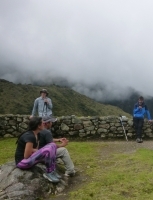 We pretty much knew what we were getting into as far as the weather with it being the rainy season but we weren't sure when we'd be back in Peru and didn't want to miss out on the opportunity to do the Inca Trail and see Machu Picchu. The trek was very fun ! I had a great time. 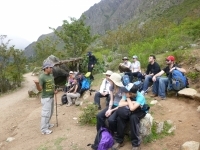 The guides were amazing and told us lots of information and were very nice. The hike was beautiful and I only have a few suggestions. Smaller portions because there was a lot of left over food. I was worried about wasting food because that is not environmentally friendly. Six months ago we were planning a trip to Argentina when our daughter told us she would rather go to Peru and see Machu Picchu. Much to her dismay we booked a four day trek through Inca Trail Reservations to hike 25 plus miles to go to Machu Picchu the hard way. 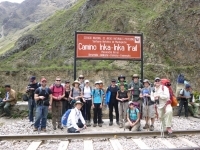 The Inca Trail was a very challenging trek but the team was very supportive and fantastic meals every day definitely helped. Few events match waking up on the mountainside at 3 am to finish the hike to Machu Picchu as the sun comes up. What a trip ! Really a dream experience for my daughter and I. 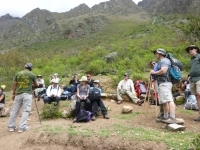 We loved it, including all of difficulties, the altitude, tired bodies, all of it. The experience together was so wonderful. What a great trip ! 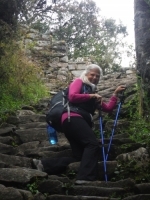 The Inca Trail has been on my mom's bucket list since I can remember so once we committed to doing it and she put in her training, she did it ! What a huge accomplishment. 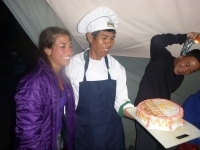 So proud of her, at 69, completing the 4 day trek. 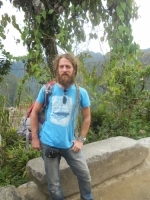 Hej och ha, da har Man varit i Machu Picchu ! Vadret var help fantastiskt. Kom nagra droppar regó en stund men de gjorde ingenting, var nastan bara skont. 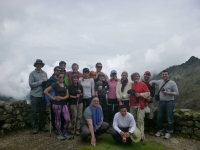 This was an awesome trek, there were many good friends made as well as incredible guides and awesome porters, I can not express enough gratitude as to how many great memories we made. It was difficult at times and it was amazing at times. 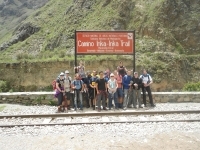 The Inca Trail was one of the greatest experiences of my life. I highly recommend it to anyone who wants to experience something special. The porters are remarkable, what they managed to do will forever stay with me. The food and service were both great considering the circumstances. I am in debt to these hard working men. 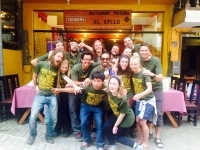 This is an amazing trip and adventure. We did it over Christmas time, that is considered kind of rainy. We had some rain, but we were lucky and had mostly rain in the night and sun during our hike. 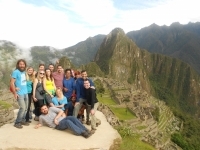 The fourth day, when we arrived at Sun Gate, we saw an amazing sunrise shining over Machu Picchu. Don't take the train, take the trail. 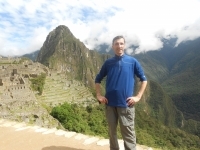 Seeing Machu Picchu after a trek makes it an experience, not just a visit. This trip exceeded my expectations. 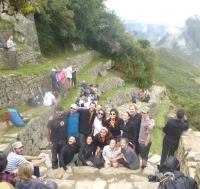 The scenery, the many sites along the way, learning about the history and culture of the Incas, meeting people from five different countries, all combined to make for one of my best vacations ever.